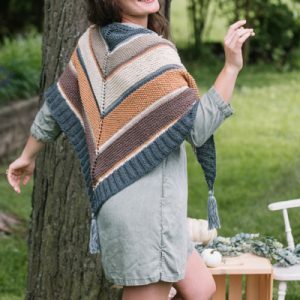 This capelet is worked in the round from the bottom up, with a simple honeycomb lace pattern hiding behind front pleats and repeated at the back. 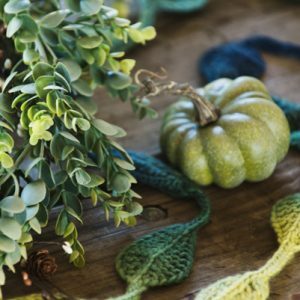 This lace pattern is reminiscent of the texture and color of Marina Di Chioggia pumpkins. Basic stockinette and garter stitch let the pleats take center stage in a cozy accessory that will stay put around your shoulders when fall’s chill arrives. This shawl is a generous size half hexagon shape in a delicate and lightweight yarn. 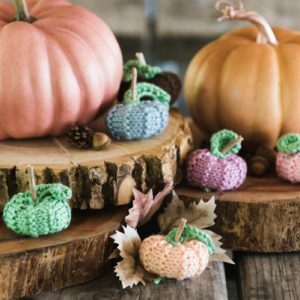 The motifs are inspired by the shape of the leaves and the shift in the colors at that time of year and the colors of Autumn Crown pumpkins. 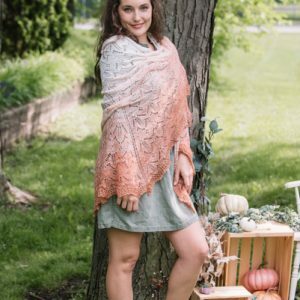 This is a crescent, sideways shawl inspired by a unique stitch pattern that’s reminiscent of Jarrahdale Pumpkin leaves along the border. The yarn colorway is subtle and the striping colors blend delicately into the next color. 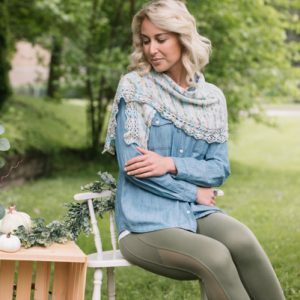 The shawls lends itself to be draped over the shoulder to provide added warmth for those breezy fall days. The Musquée de Provence Shawl is knit from top to bottom, starting with a garter tab cast on. Yarn over increases border the edges and frame the spine of this triangular shawl. 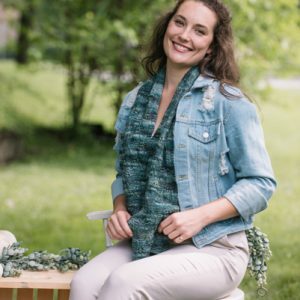 Take a deep breath of cool autumn air with this shawl draped across your shoulders or wrapped around your neck. 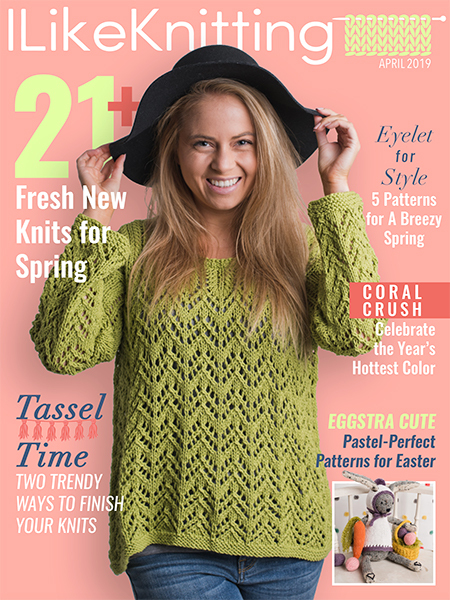 Multiple textures accentuate color changes through the shawl, including garter, stockinette, seed and ribbing stitches.